where <H>complex, <H>pure water, <H>host, and <H>guest are the Boltzmann averaged total potential energies for the complex, pure water, host, and guest simulations, respectively. The primary constraint of this calculation is maintaining the same number of atoms per force-field atom type between the bound set of simulations (complex and pure water) and the unbound set of simulations (host and guest). For example, the total number of waters between the bound and unbound sets of simulations must be exactly the same. This is easily achieved for small host-guest systems by setting the number of explicit waters to be the same in all simulations. The approached described in this tutorial should work for any version of AMBER. However, due to the necessity of computing very long simulations (>500ns), we highly recommend any version of AMBER that supports GPU acceleration (pmemd.cuda). If GPUs are not available, we recommend using pmemd. 1) section1: Creating the topology and input simulation files. 2) section2: Preparing the system by relaxing bad initial contacts, followed by heating and equilibration stages. 3) section3: Running the production simulations. 4) section4: Computing the binding enthalpy and estimating the uncertainty of the value. 4) section5: Potential pitfalls in computing binding enthalpies. 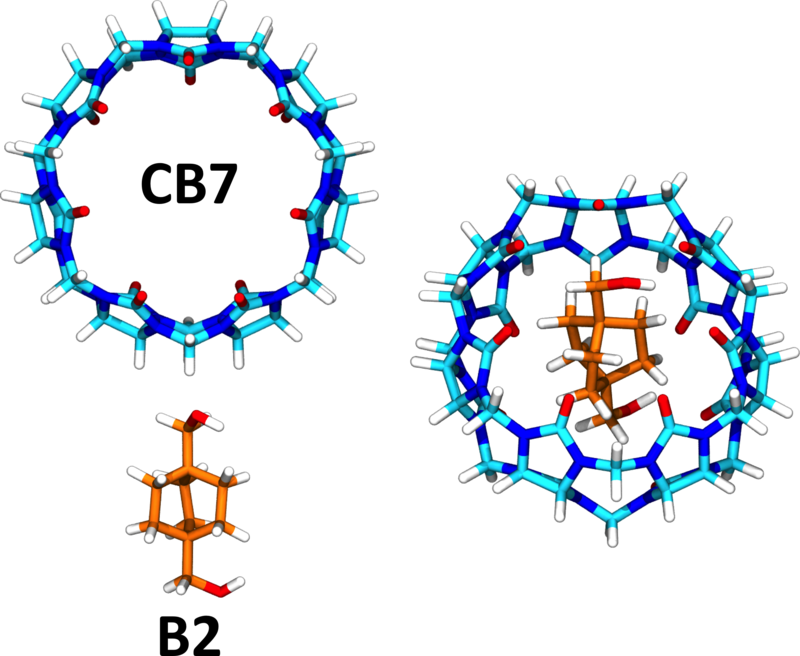 Andrew T. Fenley, Niel M. Henriksen, Hari S. Muddana, and Michael K. Gilson, "Bridging Calorimetry and Simulation Through Precise Calculations of Cucurbituril-Guest Binding Enthalpies", J. Chem. Theory Comput., 2014, in press.